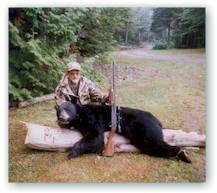 Lake Molunkus Sporting Camps is located in Aroostook County, home to Maine's largest population of black bear. 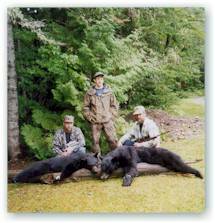 If you are interested in bear hunting make sure to contact us in advance so we can set you up with an experienced local bear guide. Bear season begins in late August and runs for four weeks. To inquire about Maine fish and wildlife laws and regulations, check out the Maine Department of Inland Fisheries and Wildlife Web site.